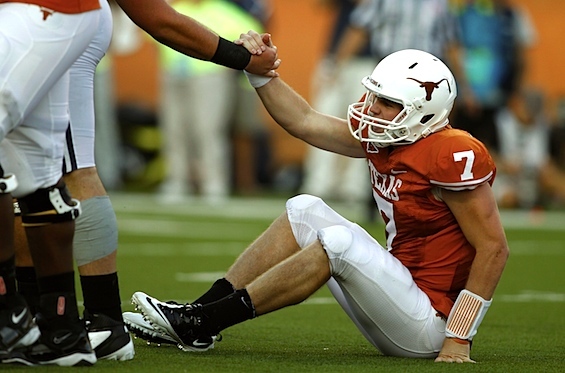 Yes Longhorn fans, it is that time of year again. We will all huddle up around TV’s, radios or file into the stands at College Station to watch our beloved Longhorns play the Aggies. Once again the mighty Horns come into this game with everything on the line and the Aggies have nothing to lose. The Longhorns are having a dream season where we are in the hunt for another National Championship. While the Aggies have been hot and cold and are just hoping to make a bowl game at this point of the season, so here we go again! 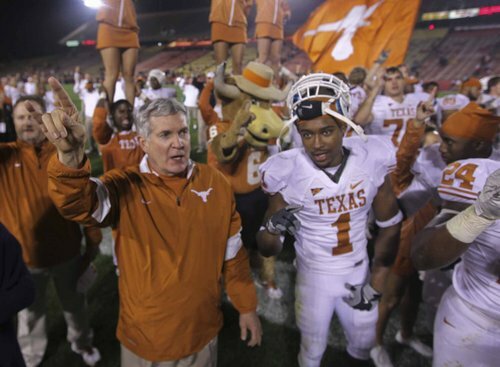 While in recent history of this rivalry has leaned the longhorns way, there have been those games where Texas comes in needing a win to achieve their goals. And the unthinkable happens a dreaded loss. 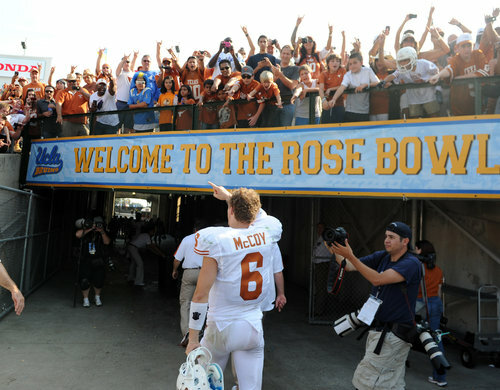 [tag]Colt McCoy[/tag] has led the longhorns down the undefeated path this year, and with the win last week, he is now the winningest quarterback in college football history. So what better feather to put in McCoy’s cap, than to beat A&M, win the Big XII, and win a National Championship? Once we get our fill of turkey, let’s hold our horns up high and root loud and proud. This years game looks to be a good one, but I expect the Longhorns to walk away late and win big.